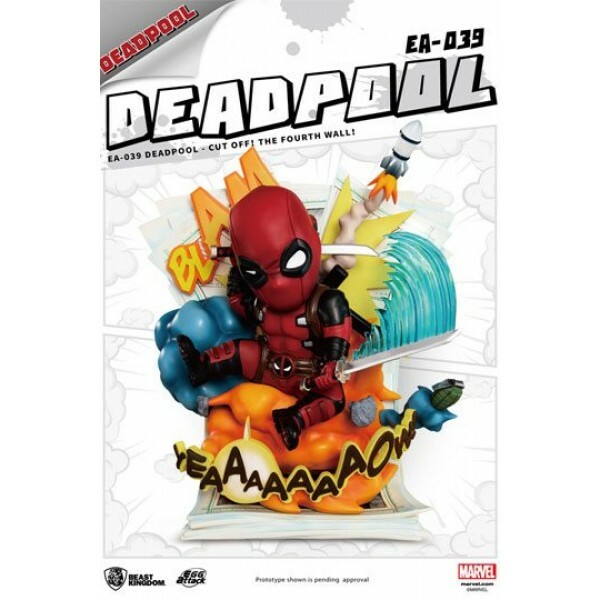 The Marvel superhero Deadpool has swept in on a whirlwind of wisecracking fun; his charm has captivated the hearts of superhero fans across the world! 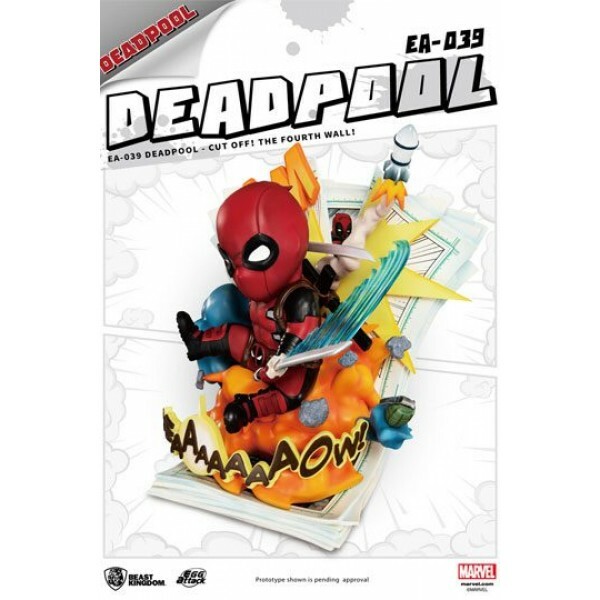 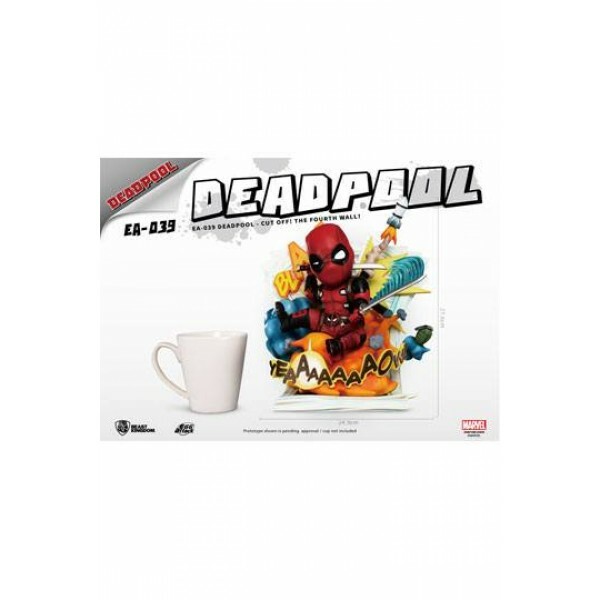 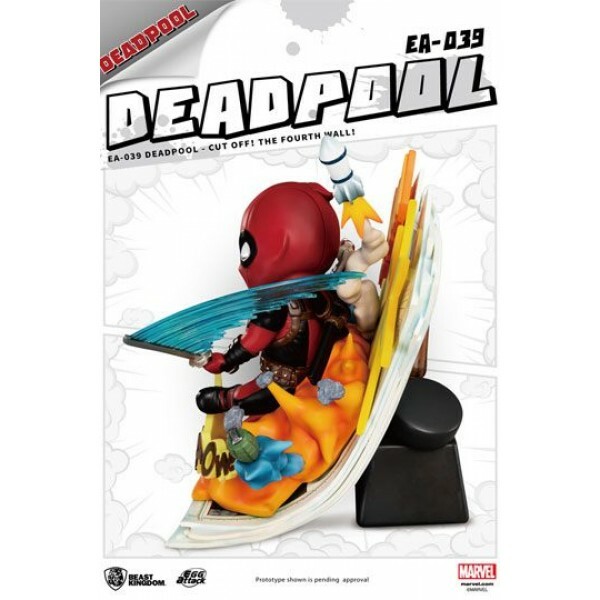 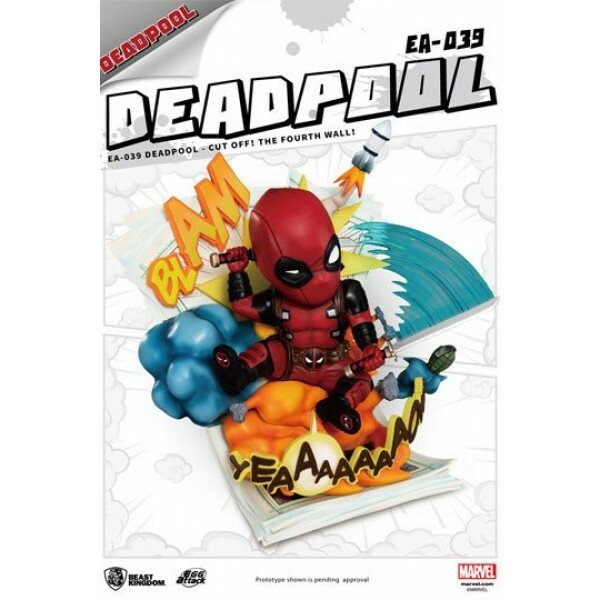 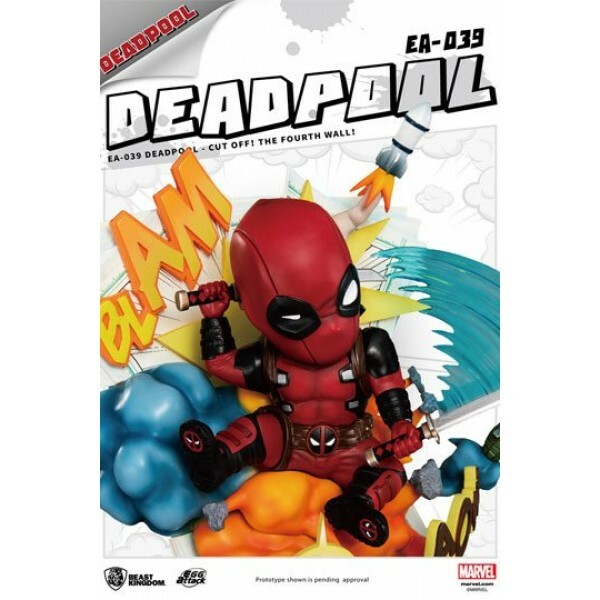 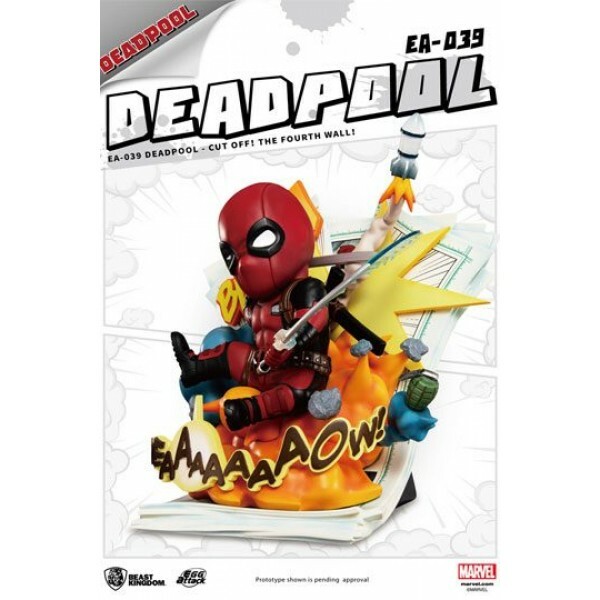 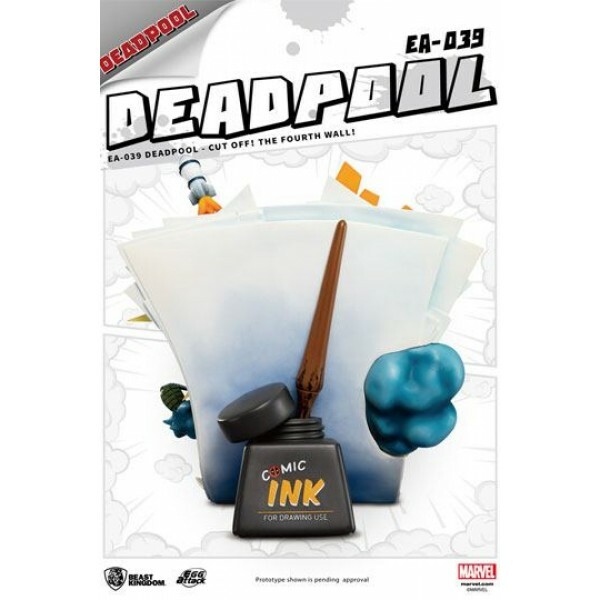 The vastly popular Deadpool EAA-065 from the Beast Kingdom Deadpool series will launch the new amusing creation "EA-039 CUT OFF! 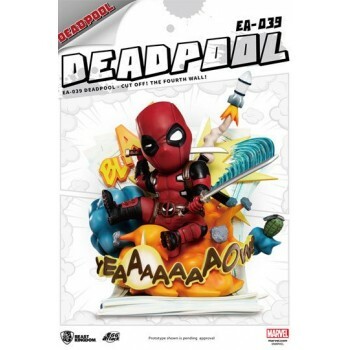 THE FOURTH WALL!Statue". 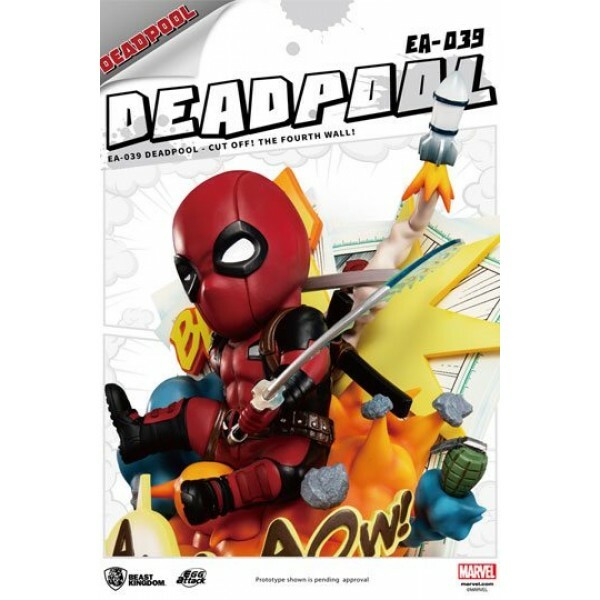 Based on the design from the official comics, the unique head-body ratio of the EA series cute version re-creates the playful, wisecracking soul of Deadpool. 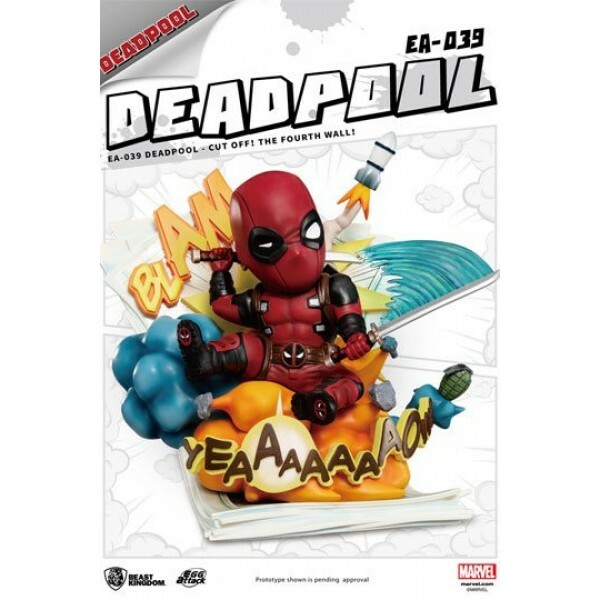 Deadpool is most at home in dangerous, explosive situations. 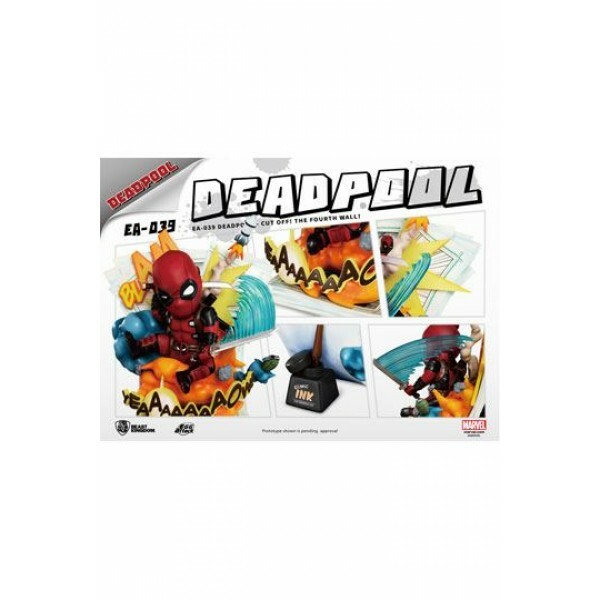 While rushing out of the smoke and flames as bullets and grenades fly past him, be able to kill his enemies without a fuss and do so with exaggerated special-effect texts, adding a devil-may-care humor to his otherwise deadly appearance. 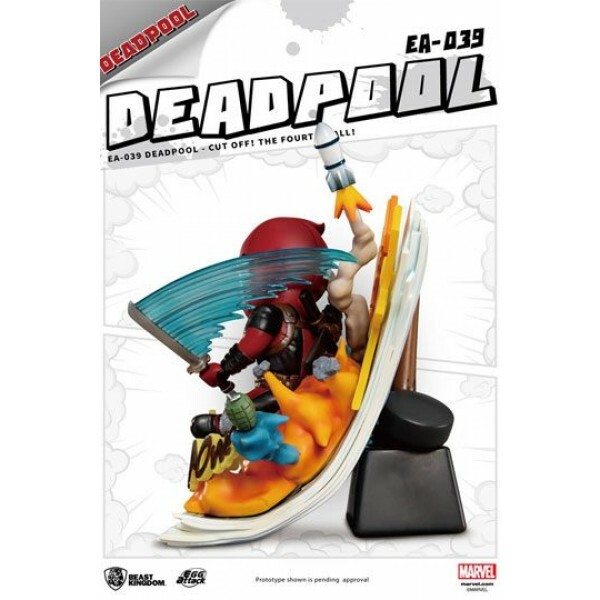 Apart from the exciting scenario settings, the multi-layered hand-crafted finish adds a dynamic effect to the static statue.